Rapid Carpet Cleaning & Pest Control is one of the premier carpet cleaners in Brisbane. We are a company that is committed to the highest standard in carpet cleaning and customer service! Our goal is to restore your carpets and upholstery to its original condition. 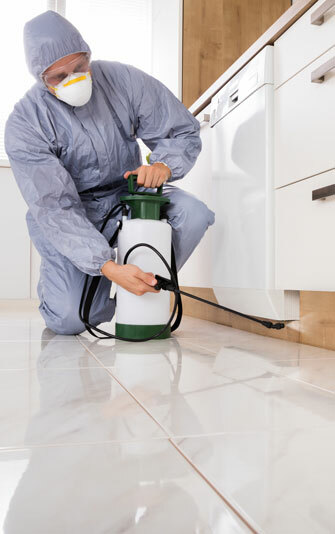 We also specialise in both commercial and residential pest removal, ensuring that all pests are completely eradicated. We will inspect your property for pests, eradicate them and prevent future sources of infestation. Combined with our Carpet Cleaning expertise we offer a full home care package, protecting your biggest asset from the pests that could damage it and keeping your carpets and upholstery looking like new. Want a free carpet cleaning estimate? Give us a call. We will personally come to your house to inspect and evaluate the area that requires cleaning. This will be done at absolutely no cost. During this time, you may ask any questions regarding our services. After inspection, a free quote for the project will be provided. Rapid Carpet Cleaning & Pest Control now to make your home or business clean and pristine again. Want your carpets to feel new again? Get in touch with Rapid Carpet Cleaning & Pest Control today to book a free inspection and appraisal! A: Get your carpet cleaned every 6 to 12 months on average. This can vary depending on how many Adults, Children and Pets live in your home. We recommend you have your high traffic areas cleaned every 6 months. A: It should take 4 to 8 hours to dry your freshly cleaned carpet, but can dry faster with ample air circulation and moisture ventilation. Carpet dries on the same principle as your clothing, the more air the faster. So if weather permitting open windows, turn on vents to air, ceiling fans and portable fans are a great idea also. A: We use a Hot water extraction cleaning process which allows us to clean your carpets with heat and steam to break down the oils, grease and dirt that makes its way into your floors. This process also extracts as we go, so that there is not a lot of moisture left in your flooring to allow for a faster dry. A: Yes! We will come to your home and evaluate your carpet & tile cleaning needs at no charge. This allows you to know what to expect when we arrive to clean your home. This will also allow you to have any questions answered that you may have regarding those areas of concern. At this scheduled time a ‘Company Supervisor’ will come to your home and evaluate your carpets to determine what areas you want cared for and what the cost will be to you at the time of service. This eliminates a big concern to most people of upselling which is a known problem in this industry.